I have no desire to tackle a dragon at insane difficulty. I don’t play video or computer games to be challenged. There, I’ve said it. And I don’t feel ashamed to admit it. Note that I don’t typically play in easy mode, usually gravitating towards whatever the game suggests is normal. Firaxis calls this “Veteran” for XCOM 2, Fallout 4 dubs this “Normal”, and Rise of the Tomb Raider’s standard mode is called, well, “Tomb Raider”. I always default to the normal mode when firing up a new game, and most of the time, stick with that. Normal modes seem to strike a right balance between difficulty and actually enjoying the journey. Easier modes lack appeal as well, since boredom sets in pretty quickly. However, the problem with harder level of difficulty is that the game just becomes painful to play. Combat-oriented games in particular tend to increase difficulty by either nerfing your weapons, making enemies hard to kill, or both. A few games do get it right. XCOM 2’s enemies do get a bit smarter if you increase the difficulty, using weapons more effectively and making better tactical decisions. The very first XCOM 2 mission shocked me when an Advent officer tossed a grenade at my party. I never once saw an Advent officer use a grenade in Veteran mode. You can’t always rely on the studio to get it right across all their various properties, either. Mass Effect’s harder difficulty levels made life interesting because the enemies did seem a little smarter — though the highest difficulty level, dubbed “Insanity”, gave every enemy shields, even where it didn’t make thematic sense. 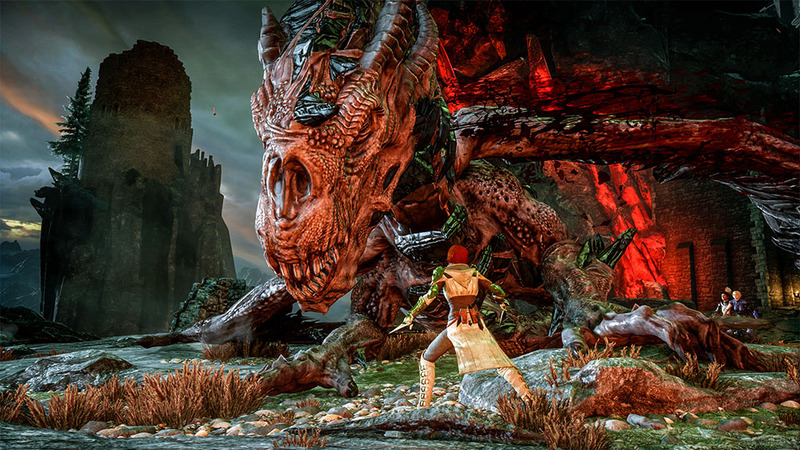 However, Dragon Age’s difficulty ramp seemed inconsistent; the difference between normal and hard seemed like a huge jump. Recently, a friend and I ran through one of the early missions in Ubisoft’s The Division. Our characters were mid-level (15 and 17 in the story), and carried pretty decent weapons. We replayed a level 7 normal difficulty mission on hard (one difficulty level up). We encountered level 16 enemies, but the game must have been lying, because these enemies proved much tougher than any level 16 mooks I’d played against in the normal game. In addition to being harder to kill, they were much more aggressive, charging and flanking us at will. That mission ended up being the worst kind of grind, but it was also kinda cool, since these enemies were both much harder to take down (boo), but also smarter (yay). I should also add that I have no desire to play games whose actual purpose seems to be making life difficult for the player. So games like the Dark Souls series are out. As always, the way you play and the enjoyment you get may be different. Ultimately, the story’s journey, the theme, and the play mechanics are much more important to me than any difficult challenge. You may have talked me into quitting Ori.